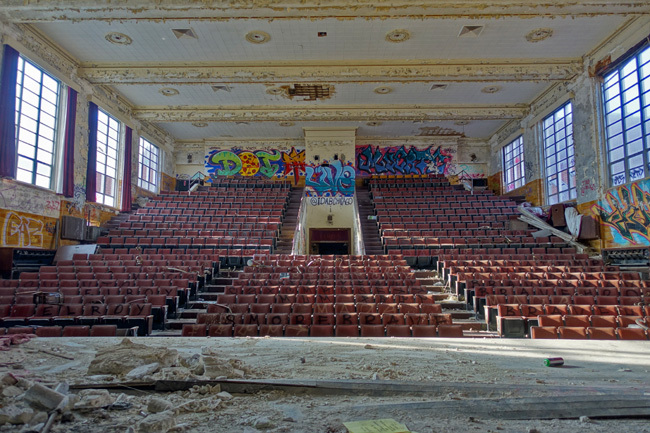 Horace Mann School, once teeming with thousands of students, now sits abandoned and rotting, another monument to the lost prosperity of Gary, Indiana. I parked beside a crumbling brick apartment building in downtown Gary, Indiana. In the cold autumn morning a few people were still asleep in nearby cars, a cruel irony in a city with so many abandoned homes. 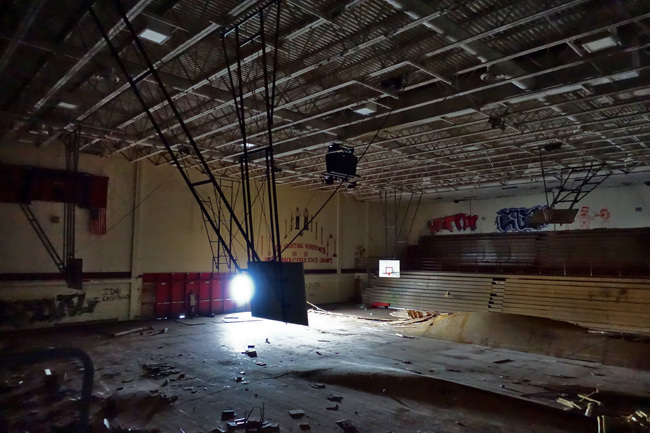 Across the street a sprawling abandoned high school filled the horizon. 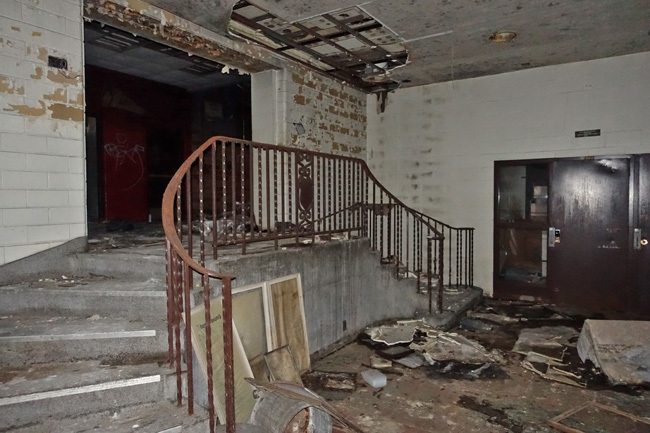 Like the breathtaking ruins of City Methodist Church, which I had explored the previous evening, Horace Mann School was a casualty of Gary, Indiana's shrinking population. Several middle-aged couples walked laps along the track that stretched the length of the building. The school was enormous, with a capacity of around two and a half thousand students. It originally consisted of three main structures that were eventually joined together. The cornerstone of the central building was laid on November 8, 1926 and construction was completed in 1928. On the large plot of land in front of the school's main entrance, an existing ravine was transformed into a pond with several pedestrian bridges and a rock garden, giving it the appearance of a beautiful park. It was a popular location for picnics, fishing, and ice skating in the winter. The school was named after Horace Mann, one of the most important reformers of the public school system. He believed that a free society cannot exist without equal access to education and that schools should not be aligned with any particular religious denomination. Though controversial at the time, his ideas eventually became widely accepted throughout the United States. Many schools have been named in his honor. In 1929 Horace Mann School had a student body of 870. 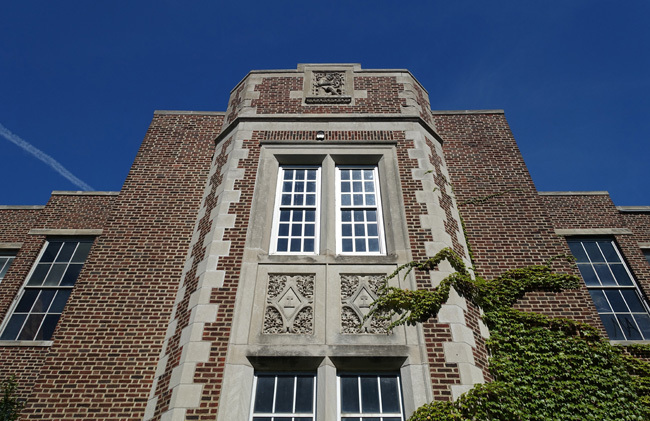 By 1937, it increased to nearly 2400 students and 80 staff members. When enrollment grew to nearly 2600 in 1956, exceeding Horace Mann's intended capacity, the district decided to build an additional school on the southern portion of the property. John H. Vohr Elementary School opened in in 1958. Sadly, the pond was filled in to make room for a parking lot. When the steel industry declined in the '60s, the population of Gary began to shrink, as did the city's tax revenue. 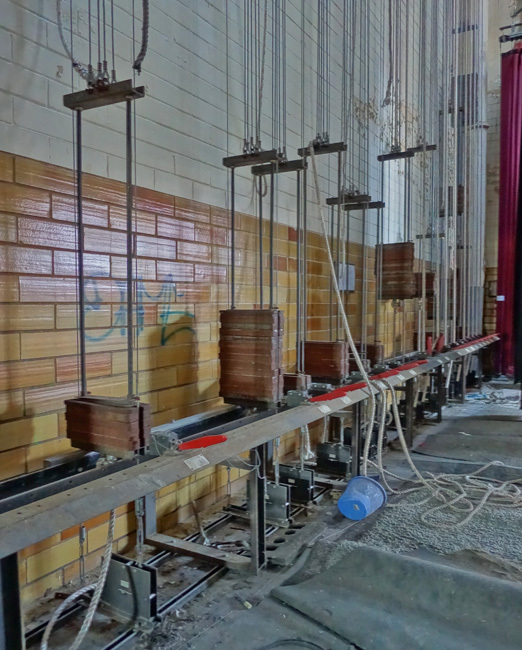 By 2003, Horace Mann High School had only 546 students, roughly a fifth of its capacity. The school closed in 2004 due to budgetary constraints and a greatly diminished student population. The final graduating class consisted of only 72 students. 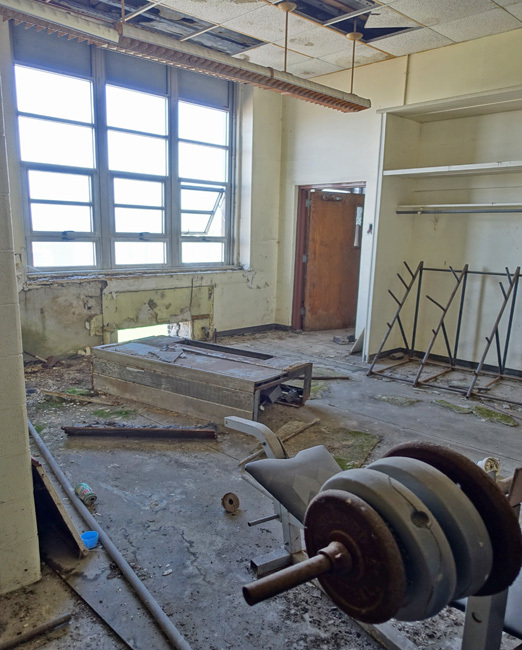 The neighboring John H Vohr Elementary School closed too in 2010.
and a robust physical education program that included two gymnasiums. 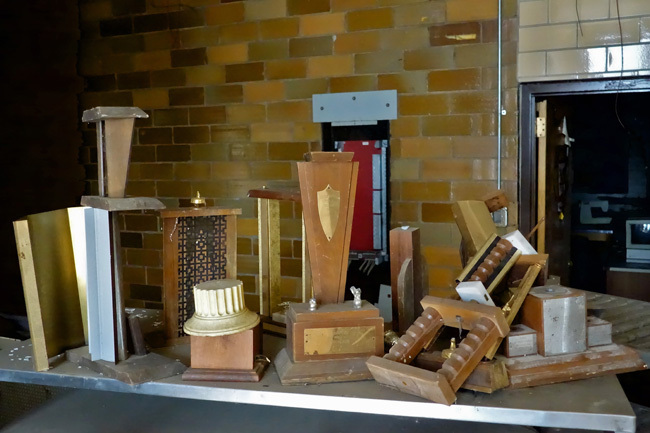 An incredible amount of materials were left behind when the school closed. 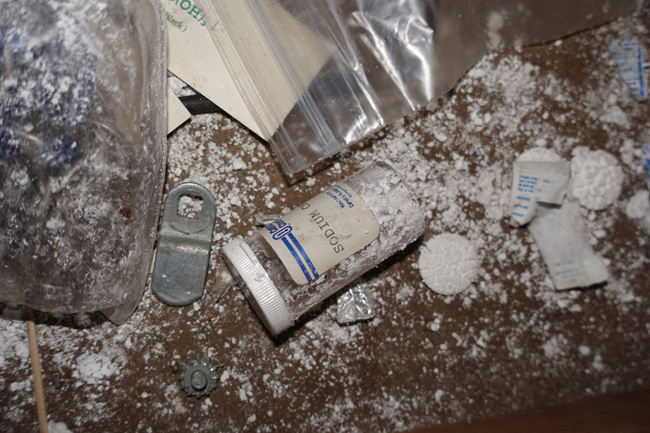 The science labs were fully stocked, though most of the artifacts have been looted or damaged. A cursory effort was apparently made to consolidate textbooks and other supplies, some of which were gathered around one of the swimming pools. 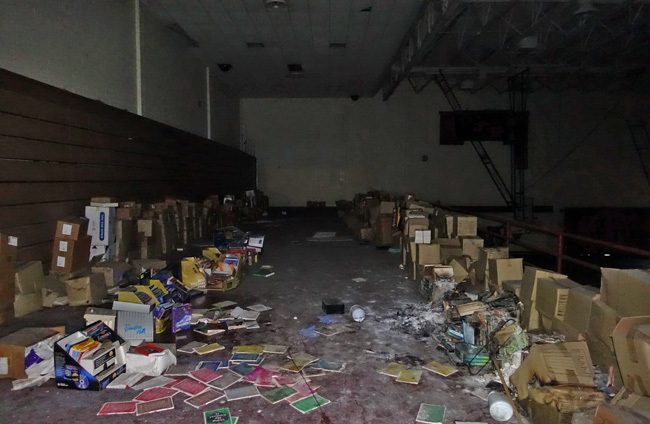 Rows of boxes filled with textbooks lined one side of the school's newer gymnasium. Vandals set fire to some of them. Thankfully it did not spread. It seems unlikely that the building will ever be put to use again. Vandalism and the elements have taken a heavy toll. 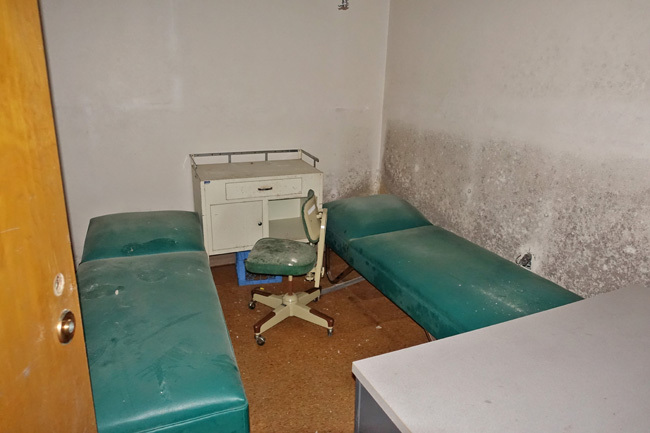 There is a great deal of water damage in the basement. The floor of the gym is so heavily warped from moisture that a large section of it has risen up and buckled. Many online communities have formed, where alumni keep in touch with one another and share fond memories of their time at Horace Mann School. Please feel free to share any memories you have of this magnificent school in the comment section below. 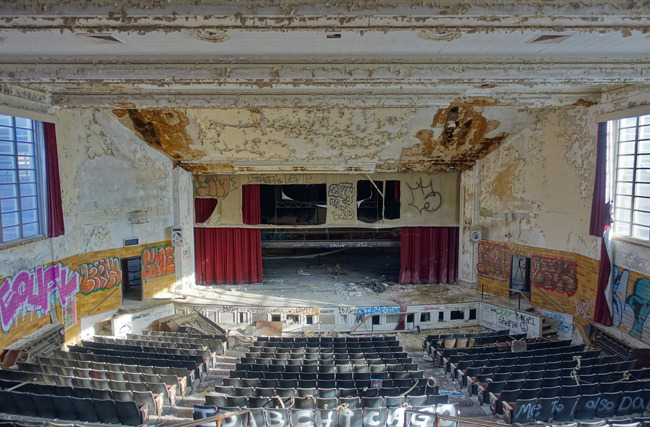 After Horace Mann School, I stopped to appreciate the ruins of another of Gary, Indiana's magnificent historical buildings, the Gary Public Schools Memorial Auditorium. Until then, feel free to read my previous posts about the incredible places I explored on my Epic Rust Belt Road Trip. 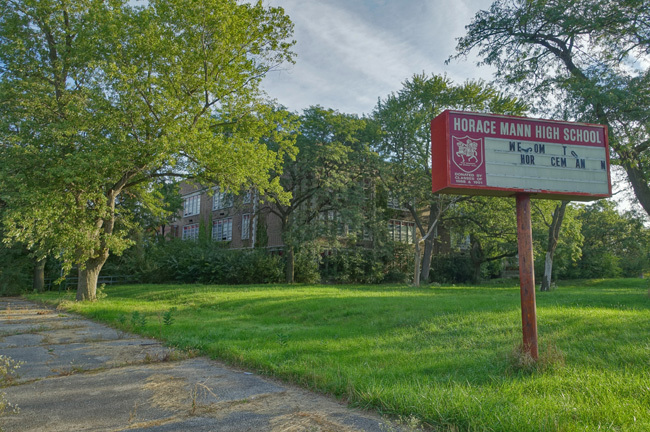 I have many more photos of Horace Mann School than I was able to include here. I'll be sharing them on social media, so please follow the links below if you'd like to see more of this incredible abandoned place. 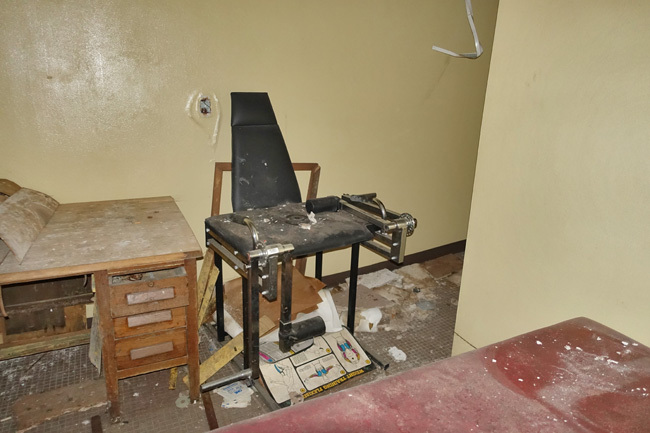 I can't believe how they just "walk away" and leave ALL the stuff in these places.....books, lab equipment, everything. Must have been neat (and scary!) to see. I couldn't believe it either. 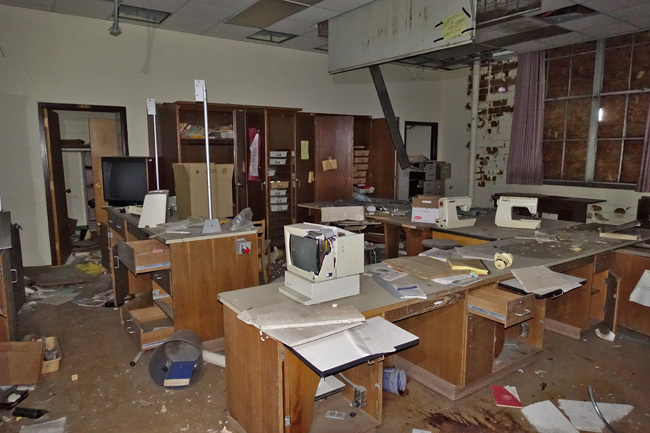 It especially surprised me that the science labs hadn't been cleaned out. I was disappointed that it had been so thoroughly ransacked, but after more than a decade of abandonment it isn't too surprising. That really tugged at my heartstrings. They even left the trophies! I graduated class of 93 and I was just there yesterday and yes it is very creepy in there now. I bet you have a lot of great memories of this school. It seems like it used to be top of the line. It's sad to see such a place left behind and everything inside it gone to waste. It wasn't due just to "a lack of jobs for parents;" the jobs remained for those willing to work them. 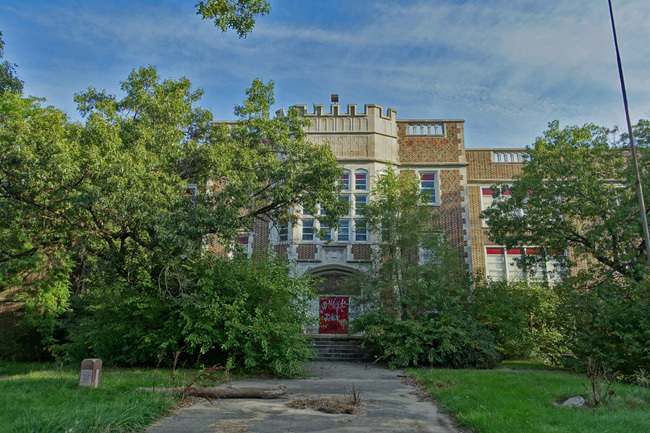 It was due in larger part to the absence of respect for the law and the institutions fostered and protected by it, including once-nationally renowned schools like this one. It was due to an absence of good character in those who remained in Gary after it elected its first black mayor and drug-dealing blacks raised it to national prominence as the murder capital of the US. If that sounds "racist" or insensitive, too bad: I'm only tellin' it like it is, and the sooner people recognize this and scrap the euphemisms, the better. 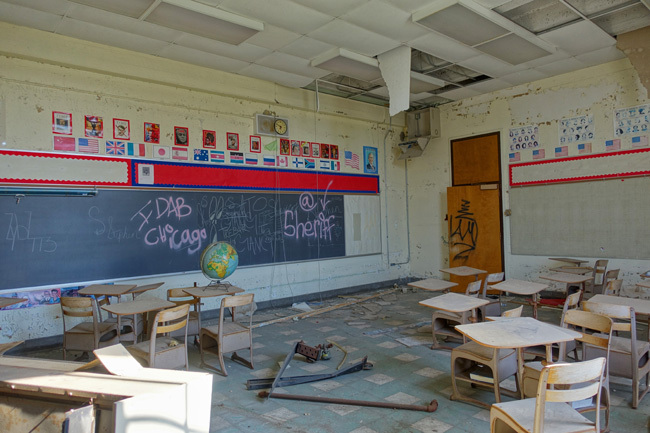 And please: this school didn't "deteriorate" - it was vandalized and destroyed. You are absolutely correct, I was born in Gary, Indiana, we lived in an apartment off 8th and Jackson. I went to school at Jefferson Elementary, played Little League in Gary, used to go to the CYO, Boys Club, the Library downtown, got my haircut at Goldblats (spelling) dept store downtown, candy at Pinellas off 8th ave. 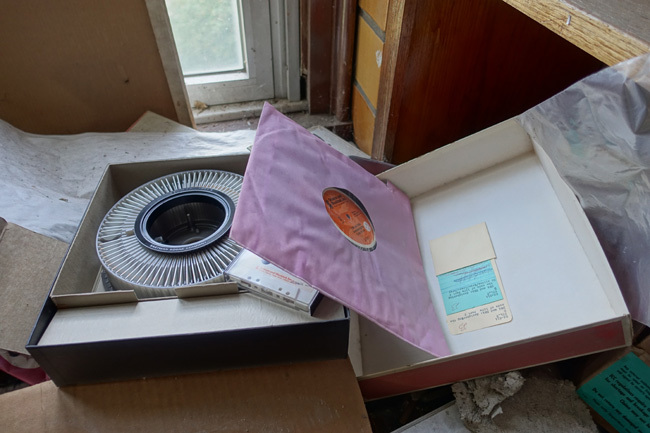 However prior to moving out of Gary in 1969 we could not go out once it got dark or you would get shook down, harassed or even killed by street gangs, drug dealers and attics. I have such fond memories of Gary, swimming at Horace Mann HS in the late evenings. However we had to move out, everyone started moving out after Mayor Hatcher was elected in 68, I went thru downtown Gary in 97 and it was boarded up, my buddy said get us out of here and back on the freeway !!!! We were on our way to visit Norte Dame. I feel for all of the families that had to move out of their hometown due to horrendous crime and frequent rapes and murders. 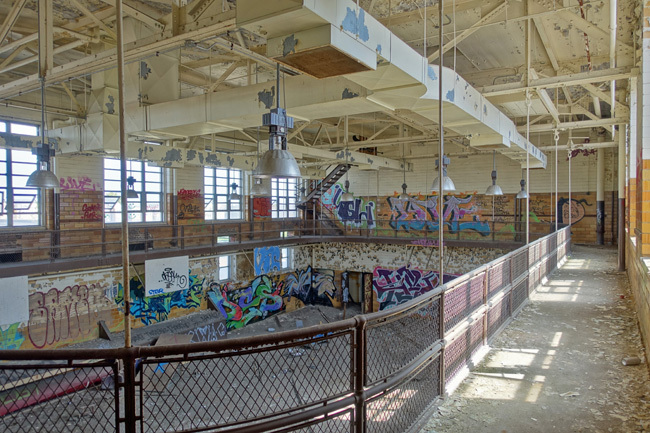 Great story, it is a wonder how fast our modern buildings deteriorate. Thank you! It really is amazing that they fall apart so quickly, especially when moisture finds its way in. Fantastic photos and presentation....great job Jim! Thank you so much, Seymour! Another great job, Jim. I feel for the former student who posted above. While it saddens any reader, it must torture the one's who walked the halls. Thanks! I feel for the former students too. It must be sad to see an important place from one's past in such a terrible state. 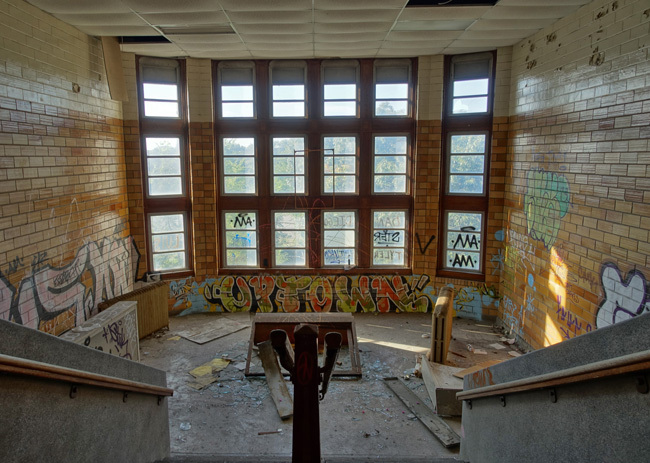 I wonder if I will ever see my old high school abandoned like this. I was a student of Horace Mann from 1986-1988 when my family moved out of state. This is truly heartbreaking. I even lived in a house 1 block down from the school, that was a very majestic building that called out to you. As an elementary student at John H. Vohr, I could not wait to attend Horace Mann. This is really sad. Wow, this is sad. It must have been a great school once. Time marches on, I suppose. 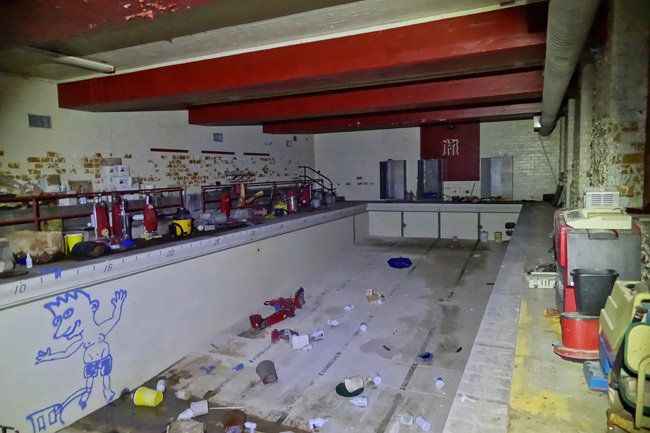 It really is strange and sad to see a huge school gone to waste like this. I've heard it was a wonderful school back in its day. Would love to see some things around Washington State (my home town) and Colorado (Where I live now). Really enjoy your work!!!!! Thank you, Debbie! I haven't done any exploring in Washington yet, but I hope I get the chance before too long. I've been to quite a few interesting abandoned places in Colorado. To read about them, check out the list or map on my "Places I've Been" page. Always love your posts! It's awful to see so much destruction and graffiti, what is wrong with people? 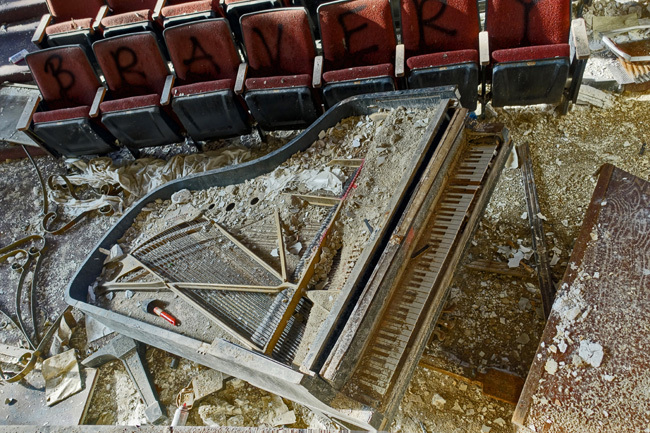 Sad that such an amazing place was left to rot. Can't wait to see where you go next! Thanks, Misty! I hate to see so much graffiti and vandalism too. I'll never understand the impulse to destroy things for no reason. I'd rather leave them alone and witness the beautiful ways nature wears away at them over time. 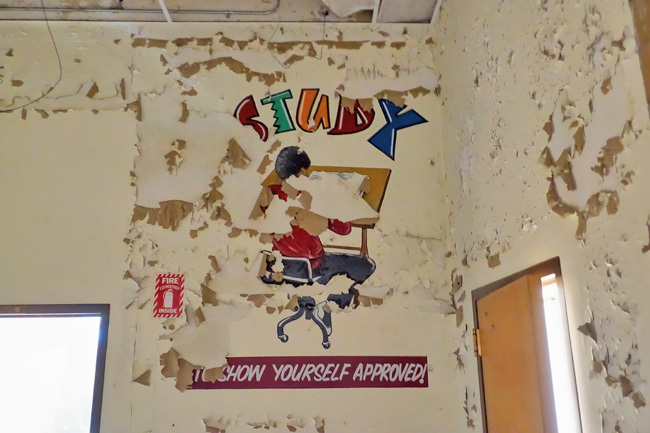 My next article will feature another of Gary, Indiana's beautiful crumbling historic buildings. There are so many interesting places to explore there. Thanks for the eye-opening profile of another of Gary's institutions. 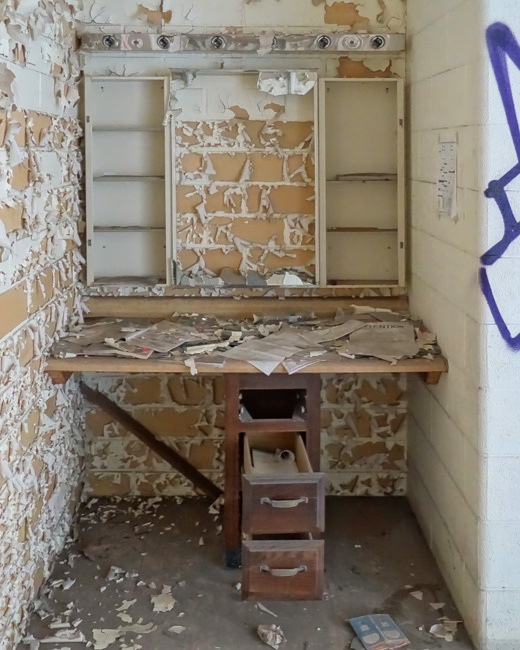 As far as the vandalism and graffiti, I view it as part of the natural progression of abandoned places. The best scenario would be renovation/reuse, but when that doesn't occur and the building is left standing, people will go inside them (as you every explorer can attest). Many of us are there to look and document, but just as many are there to destroy, tag, or seek shelter. 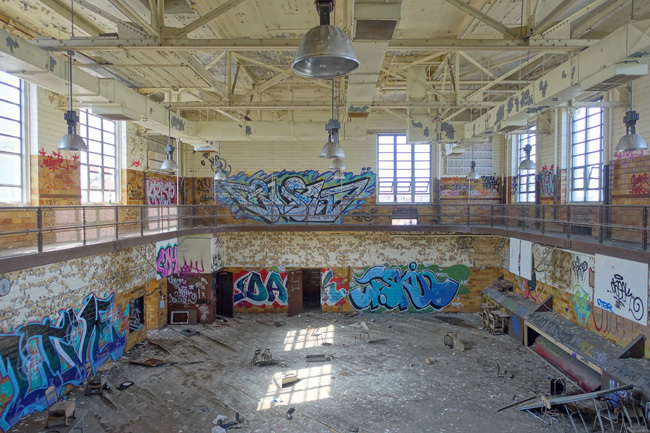 We can debate whether it's better to view a building rotting away due to nature's effects (preferably) or due to human destruction, but I think it distracts from the larger issues of economic collapse and abandonment. I look forward to more from your Gary trip, Jim! You bring up a great point, Greg. Economic collapse is the most important issue. It really hit home when I saw the abandoned places of the Rust Belt firsthand. It was one thing to see it in pictures from the comfort of my home, but to walk around these cities and imagine what it is like for the people who live there was truly eye-opening. I hope we come up with effective solutions to the economic decline of these great cities soon. It's not just "economic decline" that's at fault; it's more about moral and ethical decline. It's not always "all about jack;" it's often about "communities" that don't respect the law. Let's stop making excuses for them and hold them accountable for the damage they continue to do. To Anonymous. In most communities, where they once thrived, the corporations decided long ago to abandoned for cheaper wages overseas. They didn't give a crap about hard working folks of all colors. I grew up in one of those rust belt community about 2 hours away and we were all hard working. I believe that if these places if given attention by the powers to be & grassroots folks who care about these towns and give folks opportunities, there is progress. What happened to Detroit was plain out corporate disregard, racism at all levels and white flight. Just call it what it is ok and don't blame on the victims of dispossessed economic opportunities. We don't say negative things "like total disrespect for the law" to white communities that have undergone economic change, do we? We seem to have more compassion. I think there's something called a double standard applied to people of color and minorities in our society. Call the white elephant in the room--institutionalized or implicit racism. Also, women are paid less than men for the occupations they work in. Until we have a equitable system of pay for women in America, poverty won't be abolished. We're living in an era of what most sociologists call "the feminization of poverty." Thank you! 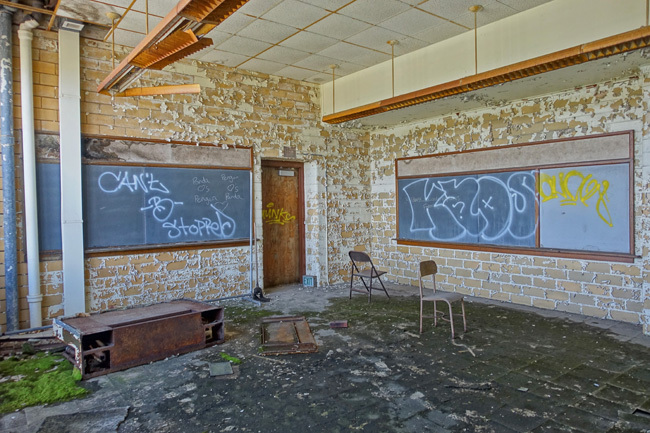 I had no idea there were 21 abandoned schools there. Such a shame. 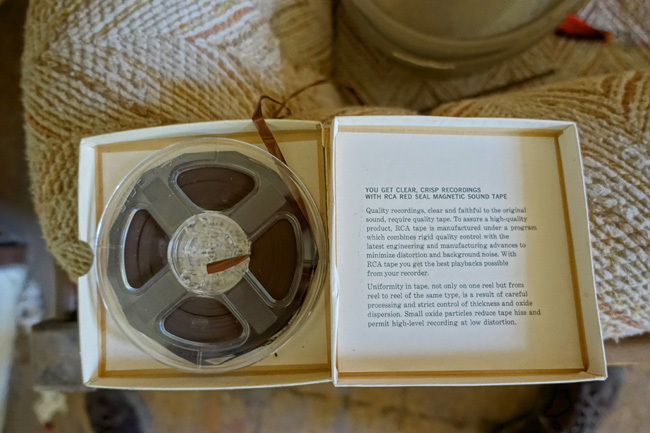 I love it when there are a lot of artifacts left behind. I was born in Gary, Indiana. My immediate family moved to the east coast. Every year I was in Gary for the summer and Thanksgiving. Memories of Gary still resonates when speaking about "Old Gary". Miss the good old days. I bet you've seen the city change quite a bit over the years. It's good to hear that you have such fond memories. I am a graduate of Horace Mann...c/o '93. Born & raised in Gary, IN, though I've since moved. 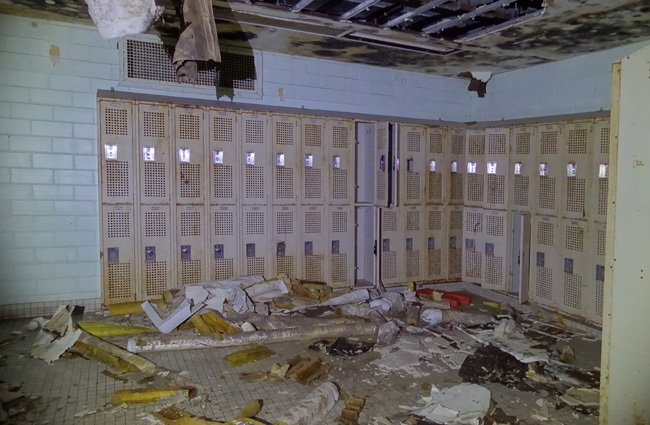 I walked these very halls, used these lockers, watched many presentations in this auditorium, used the Science Labs, as well as classrooms. I'm heart broken by it all, but the gym with the buckled floor brings tears to my eyes. I was a cheerleader all 4 years here. I cheered on this floor, & watched MANY games...I know the young men who are the Champions on the gymnasium wall. I had P.E. 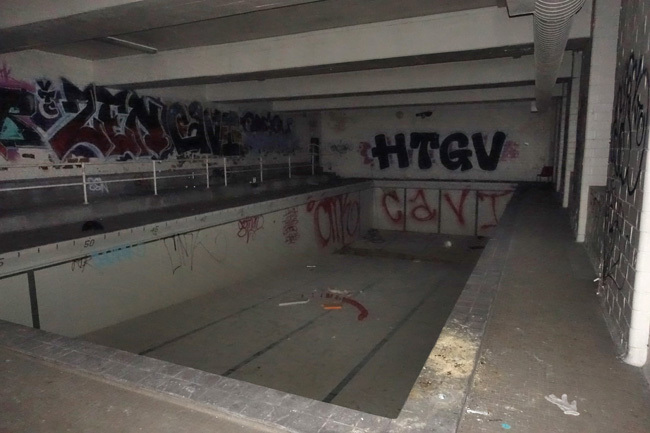 & swam in these pools...I have yet to see Horace Mann in its' ruins in person...I have to say, I don't know if I'm emotionally ready. Thank you for a WONDERFUL article. Thank you for commenting. I'm glad to hear that you had so many happy memories of Horace Mann. It seems like it was a great school back in its day. I graduated from Horace Mann. 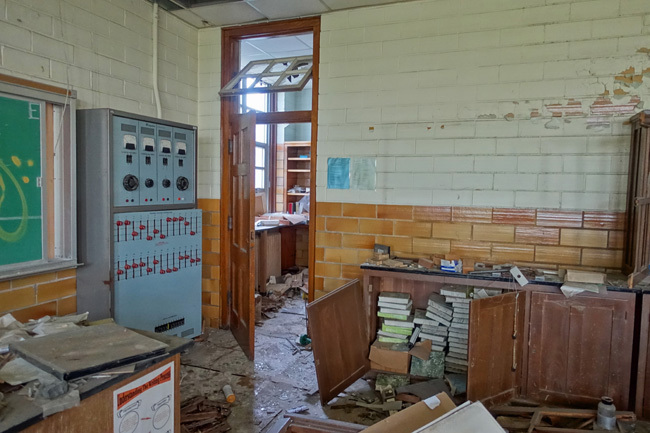 It was sad to see what has happened to that school There were actually 4 science labs. 2 on the first floor and 2 on the second floor. We were one of the few schools to have microscopes for each student. All the school city of Gary did was close the doors and lock it. All those computers, books could have been used by someone. Now of course they would be all outdated. This school has graduated lawyers, doctors generals, admirals, teachers and nurses. etc It was a great school at one time. I didn't see the science labs on the first floor. They might have been so badly damaged that I didn't recognize them for what they were. 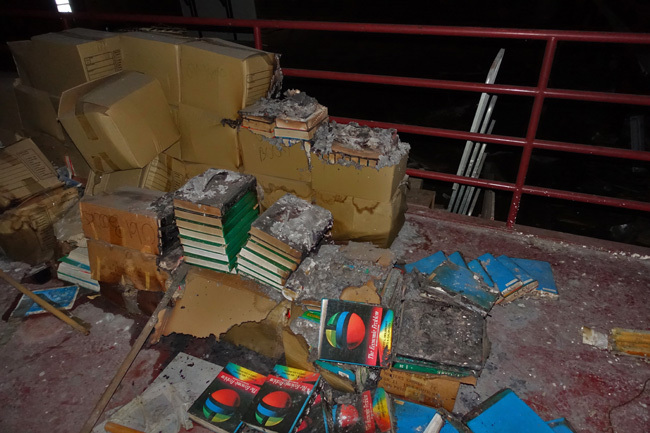 It's such a shame that the books, computers and equipment were all left there when the school closed. Such a waste. 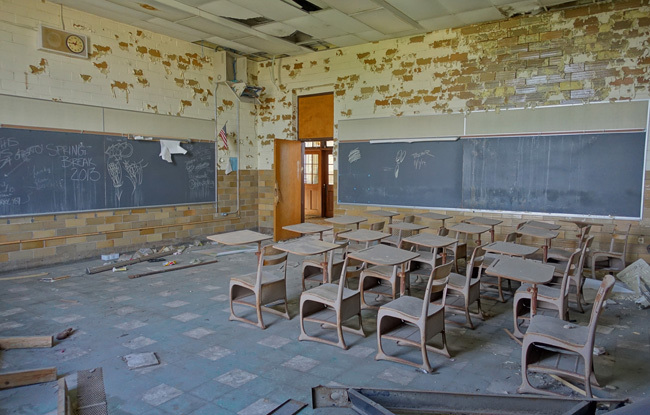 I can't imagine how sad and strange it must be to see your old school like this. I graduated in 2001. They had just laid that gym floor after I left...it was brand new. It's sad to see it in this state, and especially vandalized. I would have liked to see them take the trophies at least. I was really surprised to see the trophies there too. People worked so hard to earn them and they were just left behind. I was amazed by the way the gym floor warped. I'd never seen anything like that before. Great article, Jim. I work at the mill down the road from this old school and have always been fascinated by it. The history speaks for itself. The great Tom Harmon graduated here and later won the heisman at Michigan. The school has a huge alumni following and all share fond memories including teachers I had growing up in nearby Portage. Thank you. The school is amazing and huge. It's strange to think that it sits unused after decades of shaping so many people's lives. I enjoy reading the comments and happy memories people have of this place. It's sad a fire destroy the auditorium. I hadn't heard about that. What a shame. I wear my father's 1937 school ring. So much of Gary has fallen to ruin. Sad. . .
How neat that you still have his ring. Great 80-year-old artifact. I was shocked to see the condition of Gary. It's hard to believe a city could deteriorate so badly. Graduated in 1965. HM was a GREAT SCHOOL back then . . .Tons of memories. Went there from K-12. Long before John Vohr was built. 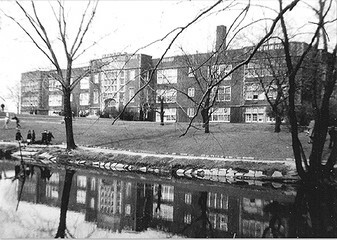 We had a pond in the front of the school and swans. Benches to sit and eat your lunch out there. The Band was awesome. The Resur's directed the band at that time. It is a shame that they didn't take the left over books and send them to cities, countries, etc. that could learn from them. Also, the trophies could have been given to SPECIAL OLYMPICS. Those children love trophies. Lived across the street from the school for YEARS! Thanks for sharing your memories. It sounds like it was a wonderful place back then. The amount of books and equipment left behind is staggering. Can I ask what the accessiblilty was to this school? Was it easy to enter? Do you need a permit? 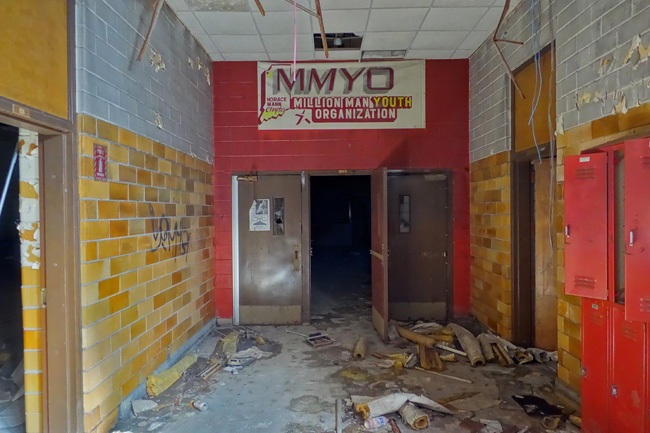 Horace Mann's demise mirrored that of other schools in Gary. And the causes weren't just economic. With passage of LBJ's so-called "Great Society" in the late 1960s, Gary, like most urban centers, witnessed a steady rise in illegitimacy among blacks, but also among whites. But the effect among blacks was far more pronouned, rising to over 73% nationlally. Ironically, illegitimacy was higher among whites than it was among blacks by a few tenths of a percent in 1950 (it was only 14% in Harlem in 1940). In 1960, most children in the Gary schools came from two-parent familiies. This is hardly true today. Children without fathers in the home are brought up in an environment of disobedience, crime and violence, and a lack of respect for authority. This helped fuel white flight to the subuerbs, leaving Gary a predominately black city, a majority of its residents poor. 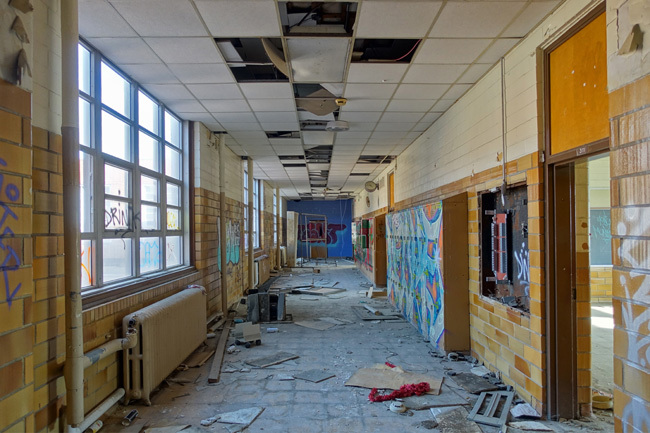 While the city's population has fallen by about 50% since the mid-1960s (to about 80,000), the school population has fallen even more precipitously, to about one-eighth of its former 48,000 students at peak. Schools have closed left and right. Where eight public high schools once existed, now only three remain. 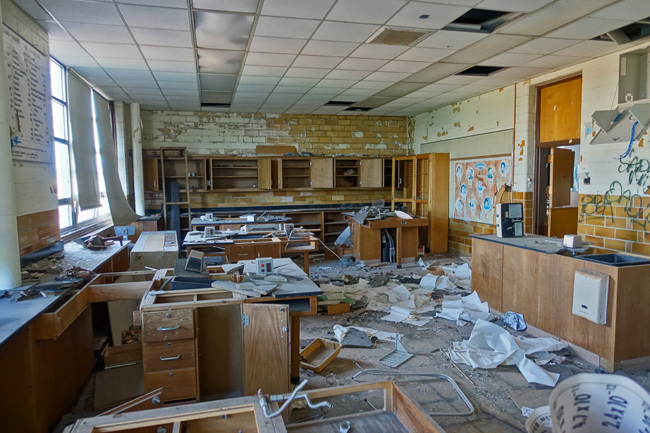 The State has taken control of the Gary schools. Certainly, economics has played a part. U.S. Steel, the city's primary industry, once employed over 28,000 workers. That work force has fallen to less than 7,000, yet it produces more steel today than in its years of peak employment. Many steelworkers now live outside the city limits. Many blacks have fled as well, due to rising crime, lack of effective policing, and the city's crumbling infrastructure and neighborhoods consisting of thousands of of abandoned homes. Those who remain are often elderly and without the resources to relocate. Gary is symptomatic of a national tragedy that was engineered by LBJ and his "Great Society." It was Johnson who said "I'll have them nig**** voting Democrat for 200 years." The man was a racist through and through. Thank you for cutting through the nonsense and for "telling it like it is." As a '70s-era graduate of another of Gary's once great, now gaunt - and closed - high schools, I can personally vouch for what you say and congratulate you for saying it. All said abive is true. Graduated in 1964. Horace Mann was a great school. With a great surroundung community that took pride in keeping up their homes. It was alsi a safe place that alliwed you to walk down 5th ave to Broadway and see all the store front displays at Christmas tine. Once Hatcher was elected law and order became a joke, crime flourished and people couldn't wait to leave. That is what happened. Actually, it was Reagan and his bogus "trickle-down economic"s of the 80's that put the nail on the coffin for these communities. The decade of the 80's was the decade of deregulation and greed by corporations. I lived it so I know first hand what it did to my community in Illinois. Reagan, if you read the archives and history, coined the term "welfare queen" to single mothers, Latina & African American which was clearly racist to fuel division. Reagans top advisor even tried to prove it by his published flawed study that single parent households (google it), usually minority, caused crime and decay in our society. It was later to be disproved by many sociological studies in the past two decades. Sadly, the premise that single mothers cause crime in America still prevails in people's minds. That is what the powers to be and corporations want us to think---blame the single moms for having kids without dads. That's totally bogus theory now. Talk to any criminologist or social anthropologist. I'm so glad I took a college level black history studies course because you get a different perspective then what you learn in a typical U.S history class devoid of people of color who were unsung heroes and not depicted accurately. One final note: this article pubished in Slate outlines Reagan's strategy to criminalize single moms as welfare queens in order to "reform" the welfare system that totally cut off aid to women & children to this day including the mentally ill. It was mean spirited and we're still suffering the "feminization of poverty" to this day. 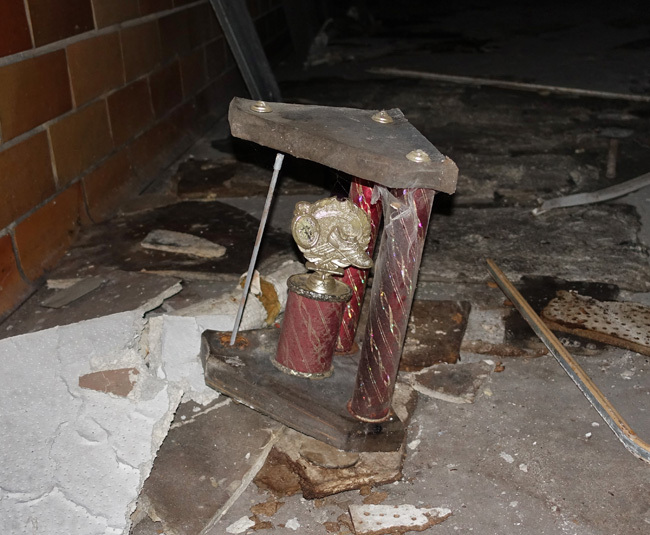 Is this school, the others, and the church in Gary easy to still get into without getting caught? Is there policing? Fences? Born in Gary, graduated from Horace Mann 1959. What a school. Sports were great, some great football teams, great championship band. So sad to see these pictures. I was in the band and we traveled all over to parades, played half time at an NFL game, and won a lot of trophies and medals. It was a beautiful school in such different times. 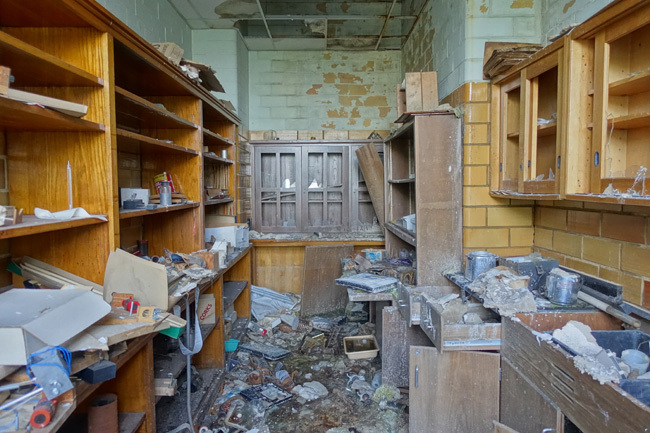 Jim, you're doing a great job touring throughout the U.S in documenting these lost places. But don't emphasize a lot about how great things were back then or maybe it's the comments I see. It's good to mention how memories are great. However, our country has always had problems from political scandals, wars, unemployment, natural disasters to race riots to mass murders. No decade is immune to horrible things that have happened. When you mention how great American ingenuity was back then, it was. But don't forget to mention that our government leaders at the time sided with the corporations starting from the Reagan era and 100 years before that. How many American workers died at the hands of violent union busting gangs hired by the corporations? Many. People just want a chance to make a decent living wage to raise their children and give them better opportunities. My point is that we shouldn't fantasize about returning to the '50's because there were plenty of problems back then too and worse. We all seem to forget that for some reason. But in a lighter note, keep on doing what you're doing. Just be cautious when going to these places, you never know what you may encounter. I was in there yesterday and it looks a lot different now. The auditorium is damaged from a fire. Jim,I remember You Around "69 or 70" Jim Farley I'm in Crown Point Stay in touch!